Hi everyone! 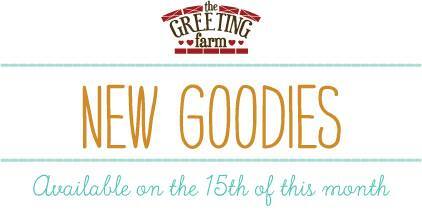 Today is our 3rd and final day of October previews at The Greeting Farm. 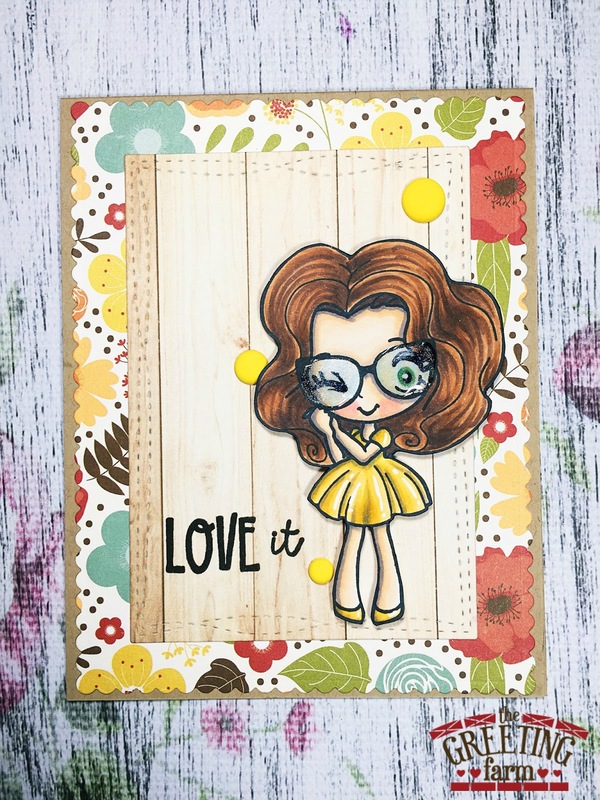 This month is awesome and I love that we get another full size stamp with this new cutie called Love It. If you peek around at the other DT sneak peeks, you'll see that sometimes she has glasses and sometimes not. 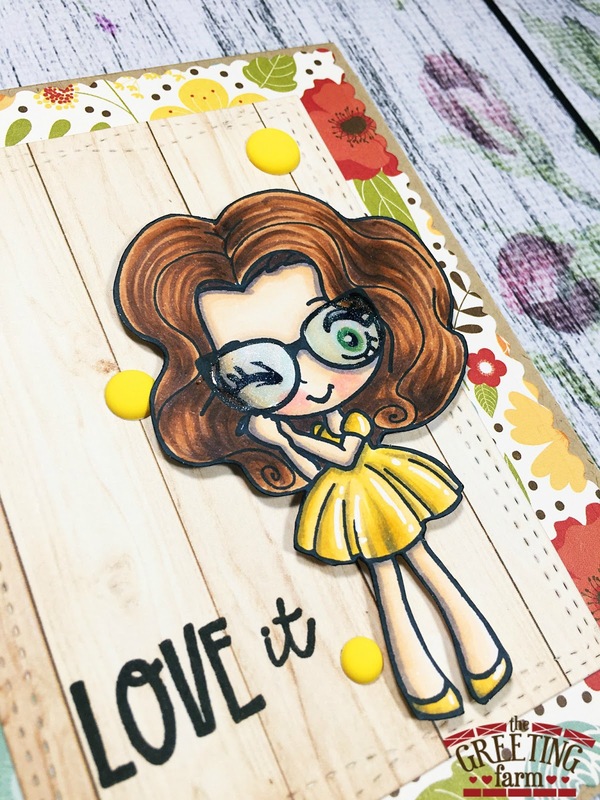 That's because the glasses are a cute accessory available in this set! That's a lovely card c! !